Main program (4 short plays) runs to Sunday, March 26, with a one-time staged reading of Catherine Frid‘s Thistlepatch on Saturday at noon. 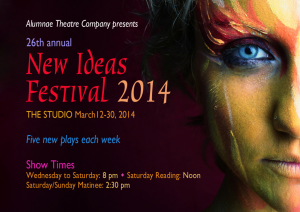 Review of New Ideas Festival’s Week Two lineup. Playing to Sun March 20. A different lineup runs March 23-27 for Week Three! Inheritance (by Tabitha Keast, directed by Matthew Hines). Two sniping siblings preparing a surprise 25th wedding anniversary party for their parents get a surprise of their own as family secrets are revealed – the kind that rewrite family history. 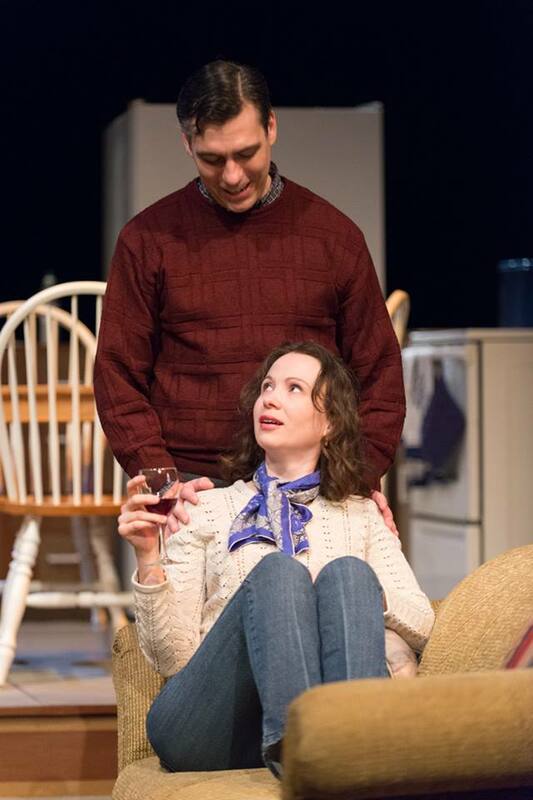 Nice work from the ensemble in balancing the comedy with the family drama in this piece: Nicole Belfer as the upbeat, spontaneous sister; Kenny Hayes as the uptight, control freak brother; Lavetta Griffin as their direct, assertive mother; and Kalman P. Nagy as their gentle, discrete father. Nothing brings out how people really feel than an unexpected and startling revelation. 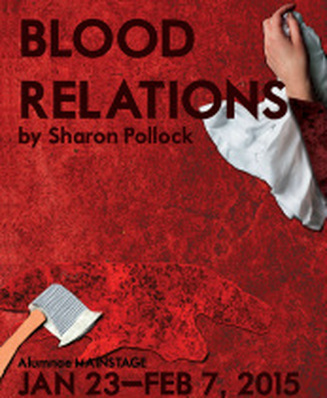 So, first, a confession: I’d never read or seen Sharon Pollack’s Blood Relations. Not until last night, that is, at Alumnae Theatre Company’s opening night, directed by Barbara Larose, assisted by Ellen Green. We are in the Borden home in Fall River, Massachusetts, 10 years after Lizzie Borden’s acquittal of the brutal double murder of her stepmother and father. Ragtime music fills the theatre and, in the dim pre-show lighting onstage, you can make out the main floor of the home: dining room and parlour, separated by a dark wood finish staircase. Down stage right is a pigeon coop; down left is a garden with a stone bench. Audiences have been extremely complimentary about Alumnae Theatre Company’s currently-running production, David Lindsay-Abaire’s Rabbit Hole. Check out the event on Facebook! There are 4 more performances; Wed – Sat of this week. 8pm each night. Wednesday tickets are 2-for-1; $20 on the other nights. Purchase tickets online at www.alumnaetheatre.com OR reserve seats by e-mailing reservations@alumnaetheatre.com and pay cash at Box Office.